Live out your tropical dreams at Villa Leelawadee! Here’s a vacation rental that will bring plenty of sun, sand and sea into your holidays. 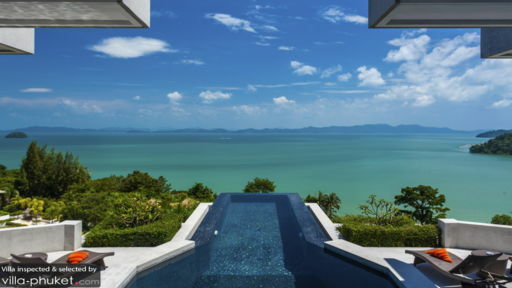 Set along the east coasts of Phuket, the villa overlooks a stunning landscape made up of turquoise waters, clear blue skies and rugged coastlines. A total of five finely-appointed bedrooms offers plenty of space to accommodate large travelling parties, so feel free invite your nearest and dearest to join in your fun-filled travel trip! Five bedrooms at Villa Leelawadee sleep ten guests. There are two master bedrooms; one sits on the upper floor, while the other is located on the ground floor. Guests residing in the former will wake up to breathing views of the ocean, while those occupying the latter will have a private terrace and gorgeous Italian-style en suite to call their own. The three remaining guest bedrooms interconnect. Two en suites (one comes with a glamorous outdoor bathtub!) are shared between travellers occupying the guest bedrooms. A pier-like infinity pool extends out from the indoor lounge to reach the edge of the lawn. Loungers flank one side of the pool, while the other side contains a ping pong room furnished with bar stools and a bistro table. It’s undeniable that this is the best spot in the house to hang out and take in the sweeping ocean views. Cocktails, anyone? Minimalist and modern, the living spaces at Villa Leelawadee ooze vibes that are distinctly Scandinavian. Wood panel ceilings, cream-hued walls and wooden furniture are features common to all rooms and communal living areas. Sink into the plump couches at the indoor lounge while you gaze out at the mesmerising coastal scenery beyond. Dining experiences here are a pleasurable affair; meals at the dining table comes with striking ocean views. The European-style kitchen comes equipped with plentiful appliances, so avid cooks have everything they need to prepare a gourmet feast. 24/7 security services, housekeeping service, guest services and airport transfers are included with your stay. Amenities available at additional cost include laundry services, in-villa massages, personal chef services, personal driver services and car rental. A baby cot and high chair are available at request. 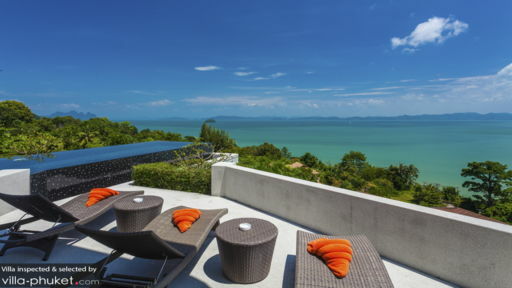 Villa Leelawadee is located on a hilltop along Phuket’s eastern coast in Thalang. Set in a tucked away location, the villa offers ultimate privacy and serenity, yet enjoys easy access to key attractions on the island. The Ao Po Grand Marina is just a skip away. In addition to yacht charter, Ao Po Grand Marina offers a wide ranging array of amenities - from fitness facilities, steam room and massage room, to yoga and pilates classes. Or visit the Thanyapura Sports and Leisure Club, a 23-hectare facility featuring myriad health, sports, educational and wellness amenities. Join in a nutritional consultation, meditation class, fitness class - or just relax with a pampering ritual at the health spa. Take a respite from the tourist crowds when you visit the beaches of Mai Khao or Nai Yang. Both venues are clean and quiet, and are ideal for relaxed beach strolls and sunbathing. Families will enjoy quality time together at attractions like the Flying Hanuman, a ziplining attraction,Anthem Wake Park, a wakeboarding facility or Phuket FantaSea, a theme park with numerous entertainment and dining options, as well as a dazzling evening performance. My family and I had a wonderful time at Villa Leelawadee in October. The staff led by Khun Son gave us a warm welcome and took very good care of us throughout our stay. We ate every meal there and everything was delicious. The rooms were well furnished, clean and we felt so much at home there. It was one of the best holidays we have had and we are planning our return soon! Villa Leelawadee was simply perfect with its stunning views, incredible staff and luxurious accommodations. We enjoyed every minute of our stay and look forward to returning again soon. The villa's location is perfect for those who want a quiet, relaxing stay and a quick trip to the pier where the sea kayak trips into Phang Nga Bay depart from. Absolutely loved our stay at Villa Leelawadee. The staff was extremely welcoming and attentive. The villas chef is of a 5 star standard, we keenly looked forward to all our flavour some meals and chef was able to accomodated for a very fussy 5 year old child. The Villa it's self is modern, sleek and stylish and with a view that is truely breathtaking. 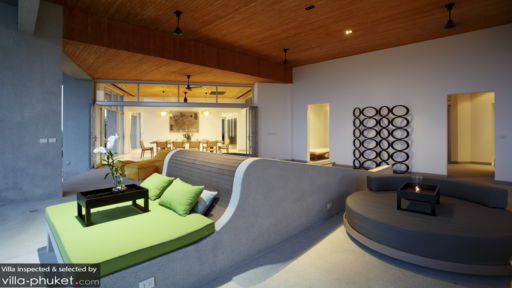 Villa Leelawadee allows you to truely absorb the beauty of its surrounds. I would highly recommend this rental property and hope to visit it again soon. Paradise found at Villa Leelawadee! Amazing Villa with an interesting arrangement oriented around the pool. Very pleased by all the staff and the cooking skills strongly recommend the sea food BBK.